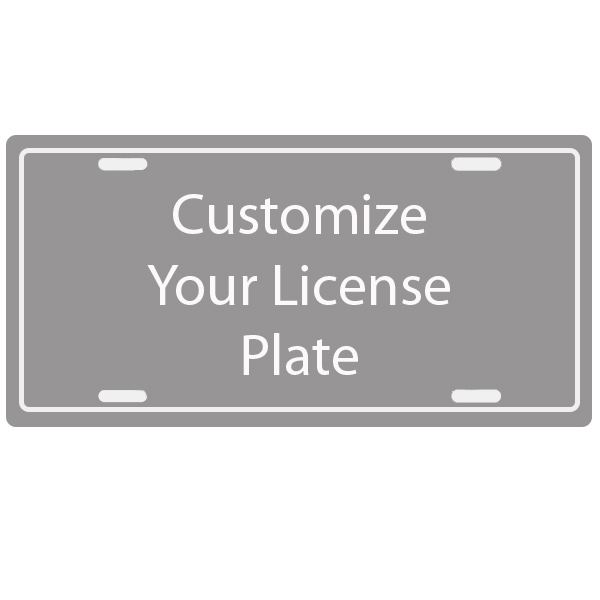 Design the perfect front license plate for your car. Feature your name, initials, monogram or other custom text on an aluminum 6 x 12 inch car tag. Our custom and personalized license plate tags feature a UV protective coating to ensure they last through long days in the sun, and harsh weather. Use our design tool to customize a car tag with any text, font, image or colors you want, right here at Custom Signs.